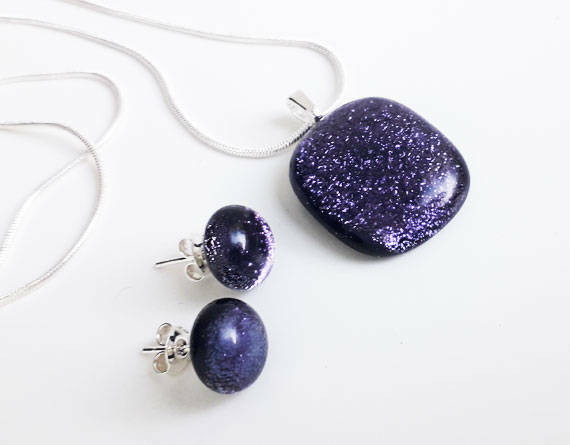 Purple jewellery set, in sparkly purple/lilac fused dichroic glass. 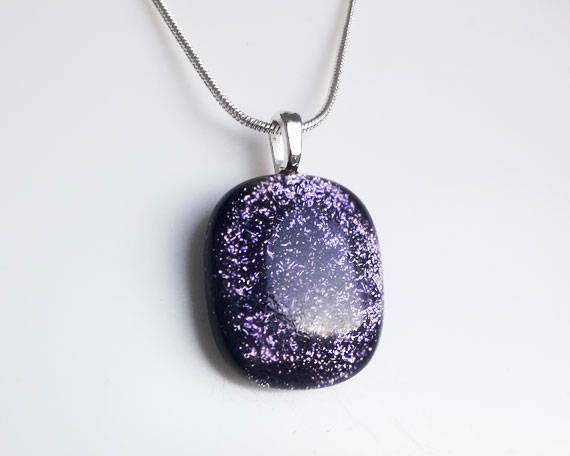 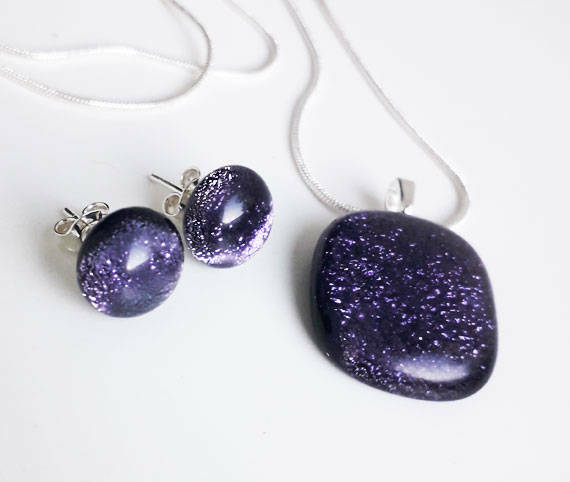 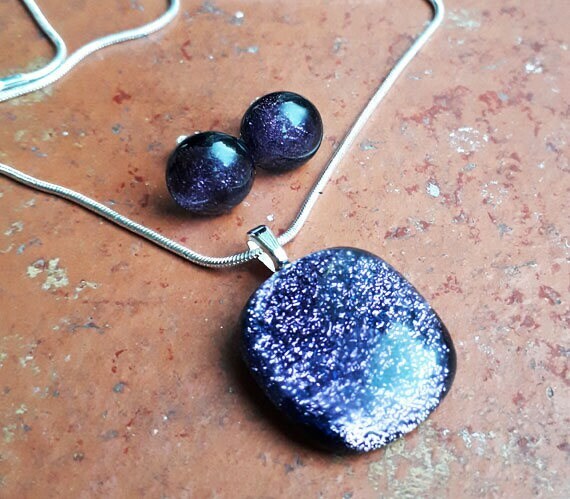 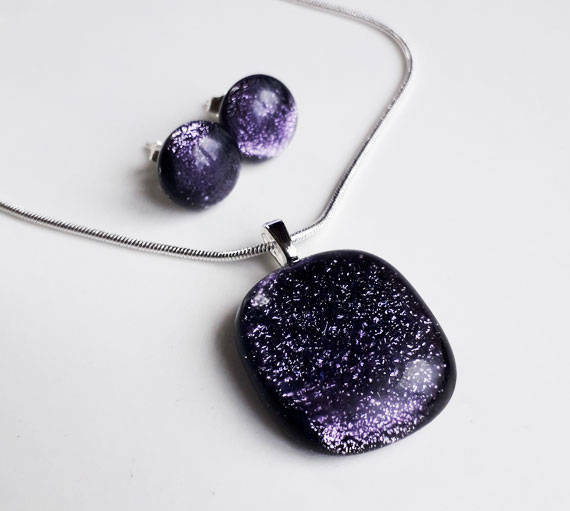 This set is made from dichroic glass in a warm purple colour - you could call it plum or lilac. 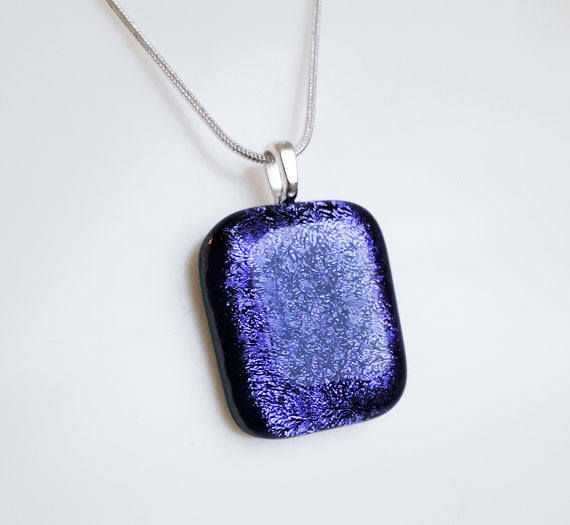 Most dichroic glass changes colour when you move it around in the light - this one doesn't change much at all, except to look lighter & darker. 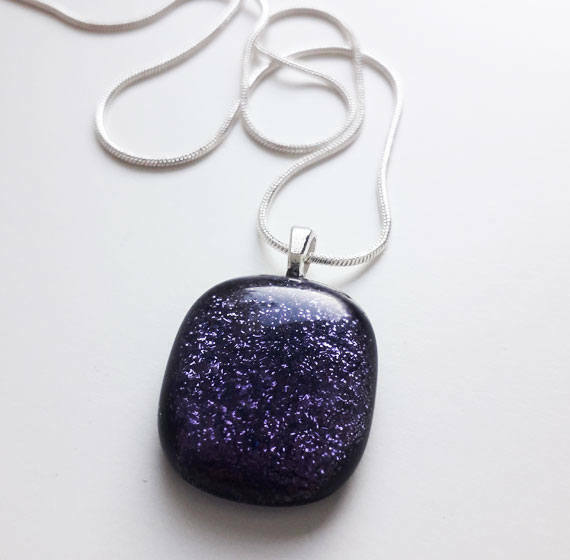 The pendant is about 21mm x 18mm, and hangs from a silver snake chain on a silver leaf bail. 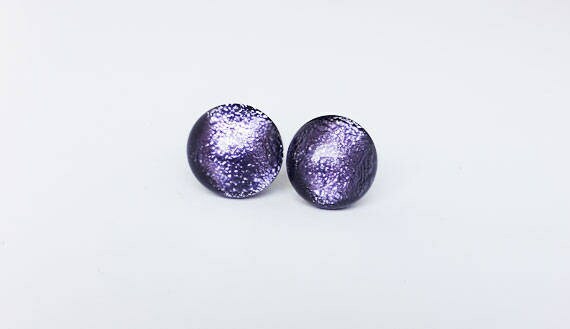 The earrings are about 10mm diameter and have sterling silver posts and backs.